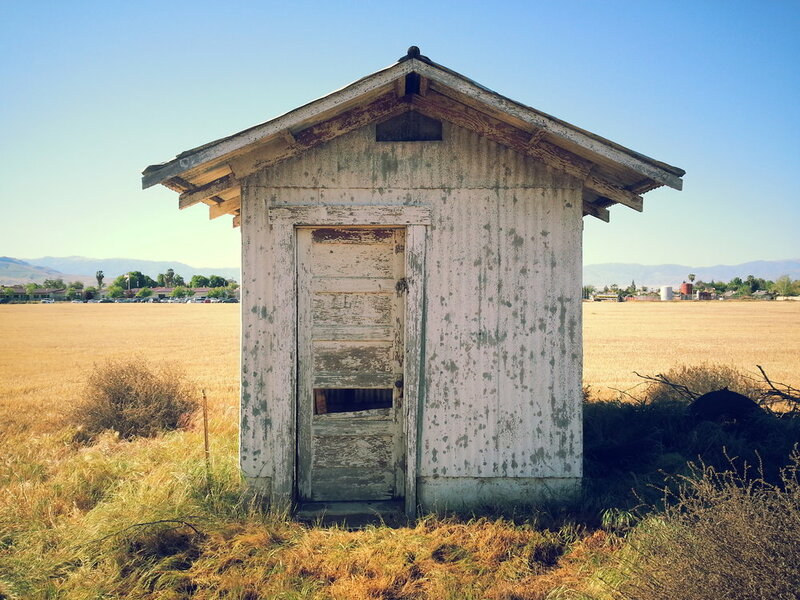 In April 2013 I was traveling through the central valley near Arvin, California, when this little agricultural shed caught my eye. Weathered and battered, it nonetheless sits gracefully in the landscape. The door needs some attention though.